On his blog, Manos Moschopoulos compiled unofficial tabs for ESL and EFL respectively for the World Universities Debating Championships (WUDC or Worlds). He did so based on data provided by Leela Koenig, judge at Botswana Worlds, and the competition’s language committee. So far, official ESL and EFL tabs have not yet been published by the adjudication team of CA Logandran Balavijendran. According to Manos’ compilation, a correction of the Top Five EFL Speakers has to be noted: “Simon Belak (Ljubljana C) and Andreas Lazar (Stuttgart A) are joint top EFL speakers (initially, they were announced as 2nd and 1st respectively),” Manos mentions in his blog Maledictus Schadenfreude. Numbers in brackets indicate the rank on the respective tab. Since 1981, debaters from all over the world have been competing at the World Universities Debating Championships at alternating locations across the planet. It was not before 1996 that the British Parliamentary Style became the mandatory format for this annual tournament. 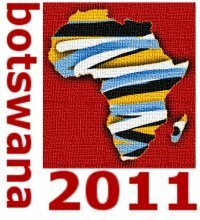 The African continent has been host to previous Worlds and staged the Worlds now for a third time, this year from 27 December 2010 to 4 January 2011 at the University of Botswana, Gaborone. Language of debate is English and there are three categories: “Main” for native speakers, “ESL” (English as a Second Language, for those who prove great proficiency in English) and “EFL” (English as a Foreign Language, for those who studied English as a mere subject).